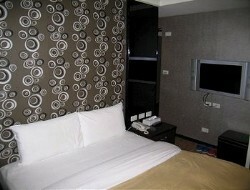 101 Amici Hotel Six Star Hostel is close to Zhongxiao-Fuxing MRT Station and Yuanshan Interchange. Surrounded by restaurants, shopping area with convenient transportation access, traveling around Taipei would not be any easier. 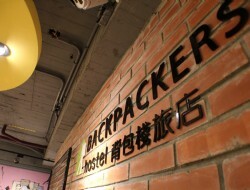 Located on Changchun Road, Backpackers Hostel - Taipei Changchun is only a 10-minute walk to MRT Songjiang Nanjing Station, MRT Nanjing Fuxing Station and Liaoning Night Market. The nearby attractions include Siping Street, Xingtian Temple, Taipei Arena and AsiaWorld Shopping Area. Simple Life Hotel is a simple yet cozy Taipei hotel close to MRT Shilin Station, MRT Jiantan Station, Shilin Night Market, National Palace Museum, and Beitou Hot Spring for your Taipei travel. 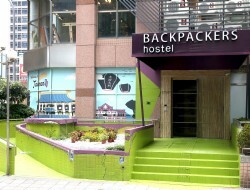 Backpackers Hostel - Ximen is situated in the busy Ximending. It is a youth hostel specifically designed for backpackers. 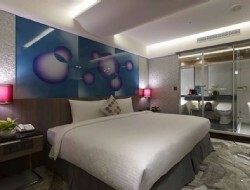 Modern art and fashion with comfortable rooms and reasonable rates, it is the finest accommodation in Taipei. Hotel Bfun is located on Linsen N. Rd, near MRT Zhongshan Station, Shuanglian Station and Songjiang Nanjing Station, all within walking distance. 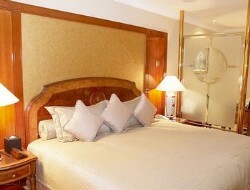 The hotel is surrounded by commercial districts and close to the famous wedding photography street. It is easy transportation from the hotel to anywhere in Taipei. Hotel Bnight is nicely set in Zhongshan District of Taipei City, close to MRT Zhongshan Station and MRT Shuanglian Station Station for you to discover the charms and splendid nightlife of Taipei easily. 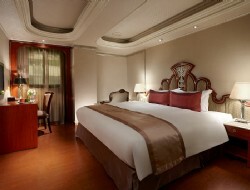 Hotel Bchic is quietly settled in the busy commercial area near Songjian Nanjing MRT Station and Zhongshan MRT Station. 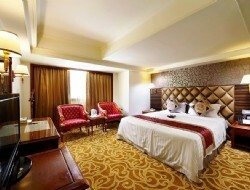 The hotel is surrounded by shopping centers, Cinema Theater and near Huashan 1914 Creative Park, Liaoning Night Market and Ninxia Night Market. Friends Hotel Yo Tong is a cozy Taipei business hotel with easy access to Taipei East Shopping District, SOGO department stores, as well as MRT Zhongxiao Dunhua Station for you to connect to Taipei 101, Taipei World Trade Center (TWTC) and Taipei City Hall in short MRT rides for your Taipei travel. The Moon Hotel is a business hotel in Taipei nearby notable Taipei attractions such as Xingtian Temple, Zhongshan shopping districts, Ningxia Night Market and many others. 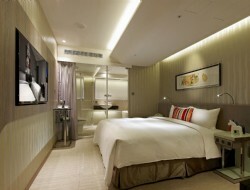 The Taipei Moon Hotel is a delightful accommodation for your Taiwan travel. Hau Shuang Hotel is a cozy Taipei hotel with a 5 minute walk to the MRT Houshanpi Station and Songshan Railway Station, and close to Wufenpu Shopping District, Raohe Night Market, Taipei World Trade Center (TWTC), and Taipei World Trade Center Nangang Exhibition Hall for your Taipei travel. 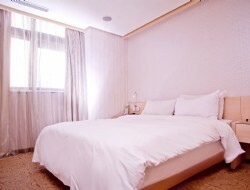 Hsuanmei Boutique Hotel is part of Taipei Beauty Hotels with a delightful location close to Xingtian Temple, MRT Zhongxiao Xinsheng and Songjian Nanjing stations, Guanghua Market, and Yong Kang Street for your Taipei travel. Located near MRT Shandao Temple Station, GoodLife Hotel is a cozy business hotel near Chiang Kai-Shek Memorial Hall and Taipei Main Station. 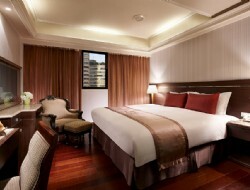 CU Hotel Taipei is a modern and contemporary Taipei hotel features caring and cozy amenities and facilities. It is located Datong District of Taipei City with business, entertainment and dining nearby, perfectly suitable for the business and travel traveler. Dahshin Hotel is a cozy Taiwan hotel with MRT Zhongshan Station about 400 meters away and close to notable Taipei business and leisure stops, including Shilin Night Market, Beitou Hot Spring, Taipei Story House, Taipei Fine Arts Museum, Xingtian Temple, and Guanghua Market for your Taipei travel. Keymans Hotel Taipei is a cozy Taiwan hotel close to Taipei Main Station, HSR Taipei Station, Taipei Bus Station, Ximending, Chiang Kai-Shek Memorial Hall, Presidential Office Building and many othersyou’re your Taiwan travel. 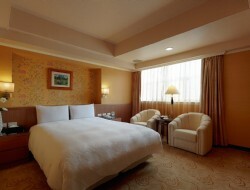 Near Xinbeitou MRT Station and Xinbeitou Park, Lotus hotel is situated in a convenient and serene environment. 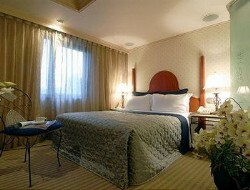 It is great place to stay for leisure or business travelers. 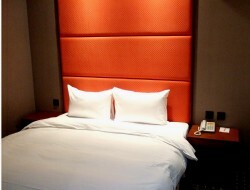 Good Life Hotel is a nice Taipei hotel with both MRT Minchuan W. Rd. Station and MRT Zhongshan Elementary School Station nearby for one to explore Taipei attractions such as Shilin Night Market, Xingtian Temple, Taipei Story House, and Taipei Fine Arts Museum for your Taipei travel. 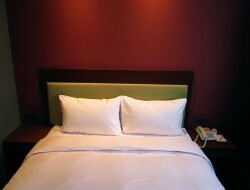 Yomi Hotel is a good business hotel.Yomi Hotel is near MRT Shualian Station, making Yomi Hotel an ideal choice for Taipei travel. Friends Hotel Yo Lai is delightfully located on Shuangcheng Street in Taipei City, Taiwan, offering easy access to MRT Zhongshan Elementary School Station, Xingtian Temple, Ching-Guan Market, Taipei Fine Arts Museum, Taipei Story House and many others for your Taipei travel. Yo Yo Regency is a Taipei business hotel with easy access to Taipei Wedding Street, Shin Shin Cinema, and Zhongshan Commercial District as well as MRT Zhongshan and Shuanglian stations for you to connect to Taipei 101, Taipei World Trade Center (TWTC), and Shilin Night Market for your Taipei travel. 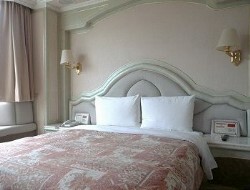 Charming Castle Hotel is set in Zhongshan District, close to Taipei Main Station, Su Ho Memorial Paper Museum, and MRT Shandao Temple Station for your Taiwan travel. 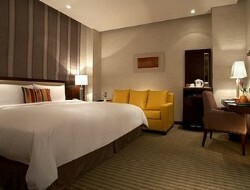 Tai Hope Hotel is a modern Taipei hotel in Zhongshan District, offering easy access to MRT Nanjing E. Rd. Station, where one many discover Taipei East Commercial area, Taipei 101, Taipei World Trade Center (TWTC) & Taipei International Convention Hall (TICC) for your Taiwan travel. Golden Garden Hotel is a nice Taipei hotel located close to Taipei 101, Taipei World Trade Center and Daan Park for your Taipei travel. 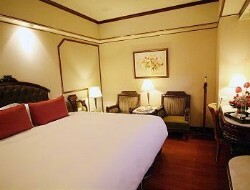 Charming City SungShan Hotel is a cozy Taipei hotel close to Raohe St. Night Market & Wufengpu Shopping area. Also, Songshan Train Station is just about 400m/5mins walk away and MRT Houshanpi Station about 1km/17mins walk away for you to enjoy a convenient Taiwan travel. Happiness Hotel is conveniently set in Zhongshan District, close to Taipei International Airport, Siping Sun Circle, Taipei Arena and MRT Songjisng Nanjing Station for your Taiwan travel. Green World Mai - ZhongShan is a stylish Taipei hotel with an excellent location in Taipei Zhongshan District, close to MRT Zhongshan Station, Lisen Park, Shinkong Mitsukoshi department stores & Taipei Main Station for your Taiwan travel. Fu-Hau Hotel is a Taipei business hotel with a convenient location close to MRT Daan Station and many Taipei attractions such as Taipei World Trade Centre (TWTC), Breeze Center, Daan Park, Yong Kang St., Xinyi Shopping District, and The Mall for your Taipei travel. Erin Hotel is conveniently set in Zhongshan District, close to Siping Sun Circle, Breeze center, Taipei Arena, and MRT Songjisng Nanjing Station for your Taiwan travel. Located near Taipei Main Station, Orange Hotel - Guanqian is a Taipei business hotel near Ximending and National Chiang Kai-Shek Memorial Hall. Delight Hotel is an elegant yet tranquil business hotel with excellent location near Breeze Center and Taipei Arena, ideal for your Taipei travel. Located near Taipei Main Station, Orange Hotel - Kaifong is a Taipei business hotel near Ximending and National Chiang Kai-Shek Memorial Hall. 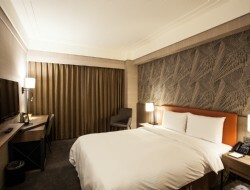 Citizen Hotel is a nice hotel in Taipei with a great location to both MRT Chiang Kai-Shek Memorial Hall and MRT Zhongxiao Xingshen Station, where you may simply visit Guanghua Market, Yong Kang Street, Taipei World Trade Center (TWTC) in a short stroll or MRT rides. 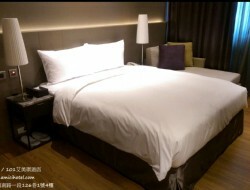 Roumei Boutique Hotel (Taipei Beauty Hotel) is a high-standard Taipei business hotel of Beauty Hotels Taipei near MRT Songjian Nanjing Station, Xingtian Temple, Guanghua Market and Yong Kang Street for an efficient Taipei travel. Located near Taipei Main Station, Orange Hotel-Linsen is a Taipei business hotel near Ningxia Night Market and Xingtian Temple. Located in Da’an District of Taipei city, Taiwan, Deja Vu Hotel has a wonderful location in central Taipei City, close to Pacific Sogo Dept Store, Yesterday/East Shopping Mall Taipei and a diversity of restaurants and street vendors for you to enjoy an easy Taipei travel. Hope City Fushing Hotel Taipei has cozy accommodations in Da'an District nearby MRT Daan Station (300m/4mins walk) and MRT Zhongxiao Fuxing Station (750m/10mins walk), perfect for both business and leisure travellers. 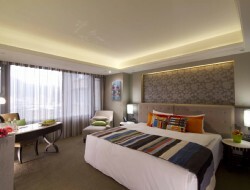 Fortune Hiya Hotel is a contemporary Taiwan hotel with a nice location close to Taipei Main Station, HSR Taipei Station, Taipei Bus Station, as well as Taipei attractions such as Ximending, Dihua Street, Chiang Kai-Shek Memorial Hall, and Taipei Wedding Street for your Taipei travel. Opened in 2013, Orange Hotel - Ximen, Taipei has an excellent location in Ximending close to MRT Ximen Station, where guests are ensured with easy access to Chiang Kai-Shek Memorial Hall, Wanhua Mongjia Longshan Temple, Bopiliao Old Street, Huaxi St. Night Market, Taipei World Trade Center (TWTC) and Taipei 101 in short MRT rides. 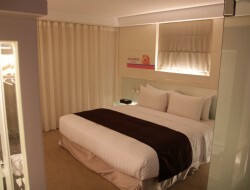 Taipei Charming City Hotel is a modern Taipei hotel with easy access to major Taipei business and leisure stops include Taipei 101, Taipei World Trade Center (TWTC) and MRT National Dr. Sun Yat-Sen Memorial Hall Station for your Taiwan travel. Alper Motel is only a 3-minute walk to MRT Nanjing Sanmin Station, a 7-minute walk to Raohe St. Night Market, a 10-minute drive to Taipei 101, and a 6-minute drive to Taipei Arena. 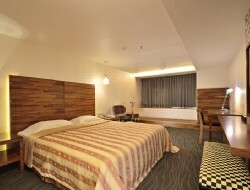 The wonderful location allows guests to reach the major tourist attractions, shopping centers and popular restaurants. 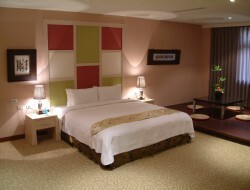 Taipei Garden Hotel is the only five-star hotel in western Taipei. 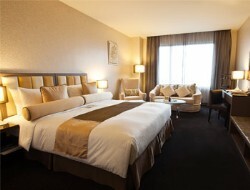 It offers trendy guestrooms decorated with warm hues in a postmodern style to create a comfortable ambience. 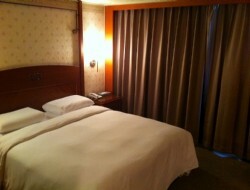 Taipei Garden Hotel also has convenient transportation. 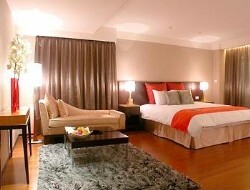 Nearby attractions include Ximending,Longshan Temple, etc. Evergreen Laurel Hotel Taipei is a high-standard Taipei hotel with convenience in location just about 6 minute walk from MRT Songjian Nanjing Station, where one may easily access to major Taipei commercial and leisure stops include Taipei World Trade Center (TWTC), Taipei 101, Shilin Night Market, Xingtian Temple and many others for your Taiwan travel. 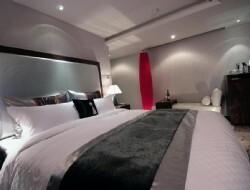 Newly opened on December 25th, 2011, S-aura Hotel & Banquet is Charming City Hotels & Serviced Apt.’s newest upscale hotel in Taipei Neihu District with an excellent location close to MRT Jiannan Station, Neihu Technology Park, Miramar Entertainment park, and Carrefour hypermall for your Taiwan travel. Kong Tai travel service LTD.
© 2019 Kong Tai travel. Powered by DFone.